This is the final blog post addressing what OSHA has labeled the “fatal four.” The fatal four are four hazards that are responsible for 63.7% of all construction worker deaths. Recognizing and preventing these hazards will save lives, improve employee morale, and help reduce insurance costs. Today, we’ll be addressing the most common cause of construction site injuries and the leading cause of construction worker deaths – falls. Falling from a higher level can result in sprains, breaks, concussions, and death. Unprotected edges, wall openings, and floor holes can cause workers to fall from great heights. OSHA requires the use of guardrail systems, safety net systems, and/or fall arrest systems when workers are exposed to a fall hazard of six feet or more above a lower level. 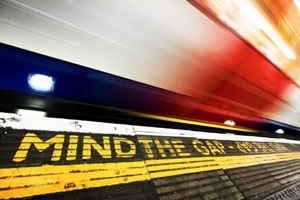 Guardrails – the only solution that prevents falls from happening - must be 39 – 45 inches in height from the surface, the top rail must be able to withstand a minimum of 200 pounds and the middle rail 150 pounds. Safety nets must be placed less than 30 feet below the work area and must extend at least eight feet out from the worksite. Border ropes must have a minimum strength of 5,000 pounds. Fall arrest systems consist of the anchorage, connecting device, and full-body harness. Arrest systems should be inspected before each use. Before cutting a hole, barricade the work area if possible. Holes should be covered or guarded immediately, and the covers should be able to support two times the weight of employees, materials, and equipment. Clearly mark where there is a hole. According to the Bureau of Labor Statistics (BLS), accidents involving scaffolding account for approximately 4,500 injuries and 50 deaths in the U.S. every year. The BLS found that 72% of scaffolding injuries are caused by the planking or support giving way, the lack of guardrails and/or fall protection, and objects falling from overhead. OSHA requires that employees on scaffolding that is higher than ten feet above a lower level must be protected. Brace or tie scaffolding to the building if height or width of scaffolding calls for it. 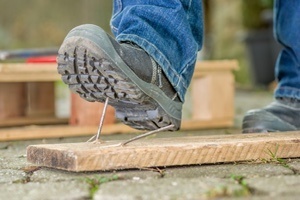 The chance for injury from a fall from an elevated position increases significantly if protruding steel rebars are left unguarded, and even the simple trip or fall can cause serious injury when steel rebars are left unguarded. Unguarded rebars can cause cuts, abrasions, impalement, and other injuries. 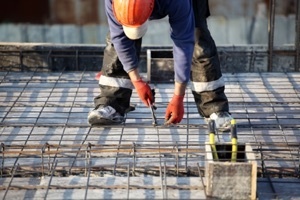 Assess the site for rebar-related hazards. Cap any protruding steel rebars with steel-reinforced rebar caps or wooden troughs or bend the rebar at the very least. Make sure that all employees wear appropriate PPE and those working above rebars wear fall protection. Falls from ladders are an all-too-common cause of injury at construction sites. 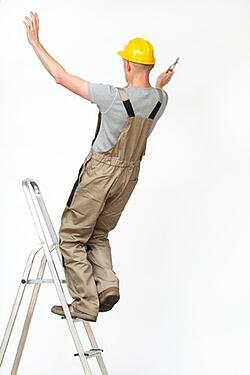 Improperly placed ladders can shift or fall, and workers can slip or lose their balance when working on ladders. To avoid injuries, the proper ladder should always be used for the job, it should be safely positioned on a solid surface, and workers should take their time when working on ladders. Imagine if you could eliminate (or at least significantly reduce) falls at your worksites. Nearly 40% of accidents would be eliminated, and you’d be left with happier, safer, and more productive employees and lower insurance costs. Another way to save on construction and contractors insurance is to work with the independent agents at American Insuring Group. We work with multiple insurance companies to ensure that you get the very best price on all your Contractor Insurance needs. Get started by calling us today at (800) 947-1270 or (610) 775-3848 or contact us online. A few weeks ago we introduced you to the Occupational Safety and Health Administration’s (OSHA) Fatal Four – four safety hazards that account for the majority of all construction worker deaths (click here for our post). Understanding how to recognize and prevent these hazards can save lives, improve employee morale, and help reduce contractor insurance costs. The Fatal Four include the following hazards (statistics are from 2016). We covered caught-in/between hazards in our prior post, and will now turn our attention to electrocution hazards. Exposure to lethal amounts of electrical energy causes electrocution, which is death by electric shock. The human body acts as a conductor when it comes in contact with an electrical current and electricity flows through conductors to create complete a circuit. Exposure to as little as 50-100 mill amperes of current can cause death by electrocution. Most 120 Volt circuits carry 15-20 amperes of current, which is 300 times what is needed to kill someone by electrocution. 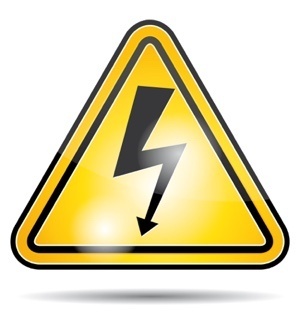 Electrical hazards can cause electric shock, electrocution, burns, arc flash or blast, fires, and explosions, which can lead to severe injuries or death. Common causes for electric-related injuries include getting too close to overhead and underground power wires, damaged equipment, faulty wiring, improper cord use, lack of GCFIs, and wet or cramped conditions. Many construction workers are not aware of potential electrical hazards, which makes them more vulnerable, and it is your responsibility to make your employees aware. OSHAstates, "The employer shall instruct each employee in the recognition and avoidance of unsafe conditions and the regulations applicable to his work environment to control or eliminate any hazards or other exposure to illness or injury." Both overhead and underground power lines carry a high voltage. Injuries with power lines are often caused by contact with heavy equipment, ladders, lifts, etc. The best way to avoid this hazard is to be aware of the location of power lines and maintain a safe distance. OSHA’s minimum clearance distance from overhead power lines is 2 feet for less than 300 volts, 10 feet for 300-50,000 volts, and 10 feet plus 4 inches for every 10,000 volts over 5,000 volts. This area should be cordoned off. If you have no choice but to work around power lines, contact the utility company to have the lines de-energized. Other precautions include using nonconductive tools and equipment and avoiding the storage material directly underneath power lines. According to OSHA, all 120-volt single-phase, 15- and 20-ampere receptacle outlets that are not part of the permanent wiring of the structure that employees use must have ground-fault circuit interrupters (GFCIs). A GFCI is a fast-acting circuit breaker that shuts of electricity when it senses small imbalances in the circuit. GFCIs only protect against the ground fault, but that is the most common form of electric shock hazard. It also protects against fires, overheating, and destruction of insulation on wiring. This procedure requires that a designated individual be assigned to make sure that all machinery and equipment are turned off and disconnected before performing service or maintenance. That individual will also lock or tag the energy-isolating device(s) to prevent the release of hazardous energy and take steps to verify that the energy has been isolated effectively. Following this procedure helps safeguard employees from the unexpected energization of hazardous energy during service or maintenance. A qualified person should also be on hand when the locks and tags are removed, and the equipment is re-energized. There are a lot of portable tools that make life much easier at a construction site, and most of these tools come with flexible cords. These cords can be damaged by staples, rubbing against other objects, or by age. If the electrical conductors become exposed, those cords can become a hazard causing shocks, burns, or even fire. It’s important to regularly inspect all equipment and extension cords for cuts, frays, or exposed bare wires. Other safety measures to reduce injuries associated with electrical work include the use of insulation, guarding, electrical protective devices, and compliance with OSHA’s regulations on electrical safety. 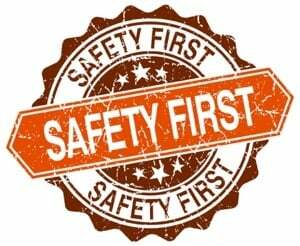 OSHAoffers many resources to help ensure the safety of your workers. 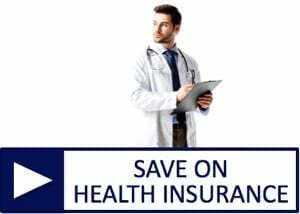 The safer your employees, the lower your insurance costs. It’s a win-win! Don't Miss This Easy Way to Save on Contractor / Construction Insurance! 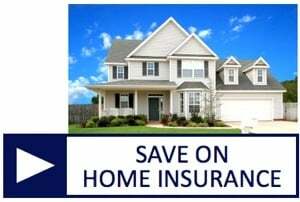 A great way to lower your contractor insurance costs is to simply contact American Insuring Group at (800) 947-1270 or (610) 775-3848 or connect with us online. Our independent agents will compare the cost of your construction insurance options among several reliable insurance companies to make sure that you’re getting the right coverage at the best price! Murphy’s Law states that if something can go wrong, it will go wrong, and it’s a law that could have been written with the construction industry in mind! There are so many moving parts, activities, and different players all working on a location that has potential hazards around every corner. So it’s essential that you ensure that you have proper construction and contractor insurance coverage to protect your business. Major losses can do more than just set your business back; they can put you out of business. Every subcontractor you hire should provide certificates that prove they have the necessary insurance coverages, but it’s also important to thoroughly inspect these certificates, which provide only the bare minimum information such as the carrier and the limits of the insurance. You should have a broker such as American Insuring Group who specializes in contractors’ insurance review all your subcontractors’ policies to ensure that there is enough coverage to protect you if that subcontractor causes an injury or damage and a claim is filed. Subcontractors often try to save money by purchasing the least expensive insurance available, so you may want to require specific coverage limits, types of coverage, and exclusions based on the scope of work the contractor will be performing and the size of the project. It’s always a good idea to have a contract in place that clearly states who is responsible for what before something happens including hold harmless or indemnity agreements to protect you from losses. In addition, the written contract should state that a subcontractor is responsible for some portion of the deductible if they are in any way responsible for any losses. 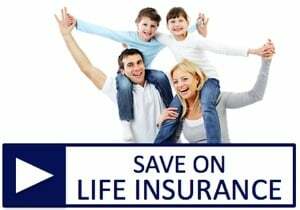 You can also shift some of your losses onto their insurance policies by requiring them to name your company as an additional insured on their policies. When you work on large-scale projects with dozens of subcontractors, it can become overwhelming to keep track of all the different insurance policies involved. This is a good time to consider purchasing General Liability Wrap-Up Insurance. This type of policy protects the owner, general contractor, and all enrolled subcontractors working on the project. It can be purchased by either the owner or general contractor and is generally used for residential projects with construction costs starting at $10 million and commercial projects starting at $20 million. 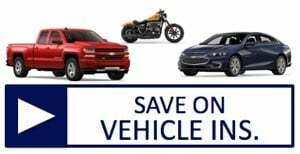 Wrap-up Insurance can provide cost savings, better control of insurance coverages, and the peace of mind that your business is appropriately protected in the event of a loss. Additional policies can be purchased for excess liability, professional liability, builder’s risk, and pollution liability. Since the owner or general contractor covers the cost of Wrap-Up Insurance, you can help offset that cost by having subcontractors contribute to the cost of the insurance through bid deductions. The cost of liability insurance is based on the cost of the project, so it may be tempting to bring the cost of the project down by using cheaper materials. However, it’s important to remember that inferior materials can add to your losses because they’re more likely to wear out earlier, break, or malfunction in some way. 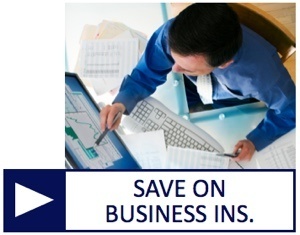 You’ll want to weigh the cost savings with the risk. Working With The Right Insurance Agency is Key - Contact Us Today! As you know, every project is unique. That’s why it’s so important to work with an insurance agent who specializes in contractors insurance and knows how to see that you’re adequately insured and protected. Give American Insuring Group a call at (610) 775-3848 or (800) 947-1270 or contact us online to speak with one of our contractors’ insurance specialists. Whenever the Bureau of Labor Statistics (BLS) releases its list of the deadliest jobs in America, some type of construction work is on that list. According to the BLS, there were 991 fatal work injuries in construction in 2016. They listed first-line supervisors of construction trades and extraction workers as the ninth deadliest job with 134 fatal injuries and a fatal injury rate of 18 per 100,000 workers. Roofers were number four (behind only aircraft pilots, fishers, and logging workers) with 101 fatal injuries and a fatal injury rate of 48.6 fatal injuries per 100,000 workers. No one would argue that construction is a dangerous job, and one of the elements that make it dangerous is the use of heavy equipment. 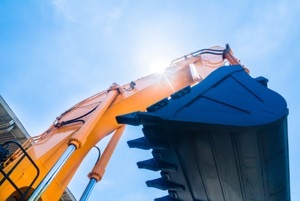 According to the Center for Construction and Research Training (CPWR), vehicles and heavy mobile equipment caused 7,681 deaths from 1992 to 2010 with about 404 deaths annually. Plus, even when vehicles and equipment are involved in an accident, they are often not listed as the cause of death. Given these facts, it's clear that having the proper contractor insurance is key for those in the construction industry. 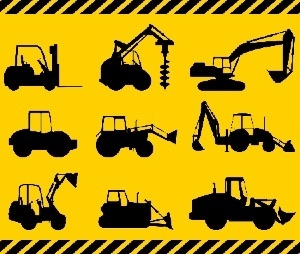 Cranes have been the most dangerous heavy equipment machinery used in the construction industry for the past two decades. CPWR found that from 1992 through 2006, 632 of all the construction fatalities reported were caused by cranes. In 2008, crane collapses caused 25 deaths and 59 injuries, contact with overhead power lines resulted in ten fatalities and eight injuries. Contact with crane load caused six deaths and ten injuries. Yes, experience does go a long way to ensure the safety of heavy equipment operators and those working around them. The danger comes when someone who has been working on the job for a long time is lured into a false sense of security and lets their guard down. Today, one of the most common dangers may be simple distractions – both external and internal - that can affect veteran and novice heavy equipment operators alike, and many of these distractions can be avoided. Before cell phones became so ubiquitous, many heavy equipment operators listened to radios. This was distracting enough (and could keep the operator from hearing if something is wrong with the machinery or someone is shouting at them), but cell phones have taken that distraction to a whole new level. Today’s cell phones allow operators to listen to music, text, watch videos, play games, check social media, search for information online and make phone calls. Some operators use earbuds to block out external noises. All of this can lead to distraction and danger. While OSHA doesn’t address this with other types of heavy equipment, it’s a smart safety measure to employ across the board to both operators and those working around heavy equipment. The best way to avoid distractions of any kind and keep your workers safe is to have a safety policy in place that forbids the use of cell phones while operating or working around heavy equipment, educate workers on that policy, and address any issues as soon as they arise. Unfortunately, accidents still happen, but the right insurance can help protect you and your employees if an injury does occur. 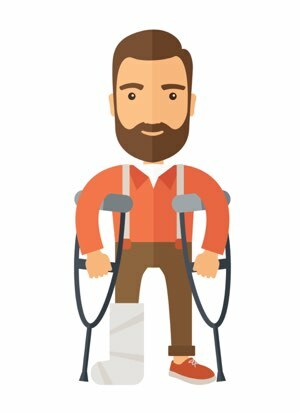 Workers Compensation Insurance, which is often a state mandate, can provide wage replacement and medical benefits to employees injured on the job. Commercial Liability Insurance can help protect your business from lawsuits. Various types of insurance can be combined to create a custom Contractor Insurance policy as well. To learn more about these and other types of commercial insurance, call American Insuring Group at (800) 947-1270 or (610) 775-3848 or contact us online.